Home / Pregnancy / 7 Benefits Of Pregnancy Exercise. 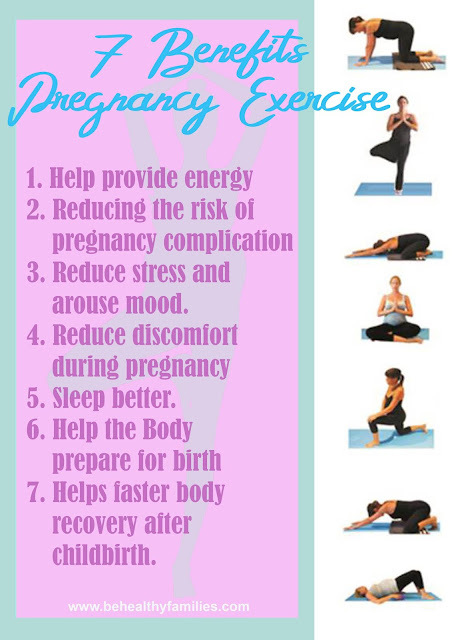 7 Benefits Of Pregnancy Exercise. Pregnancy does not mean you have to stop exercising. In fact, doing pregnancy exercise is recommended to be done during pregnancy. Because there are many benefits of pregnancy exercise during pregnancy for you and the fetus. 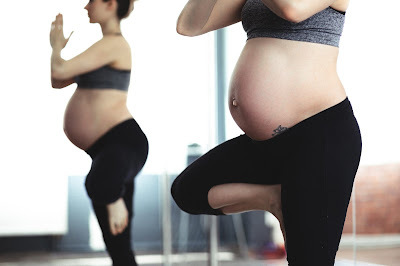 Pregnancy exercise turns out it's not just a trend, pregnancy exercise can provide real benefits for the mother during pregnancy and after giving birth. What are the benefits of pregnancy exercise? Regular exercise can help you in carrying out daily activities, making you not easily tired. Because by exercising you can improve body fitness. By exercising, you also train your muscles, so you don't need to do a lot of effort to do activities. 2. Reducing the risk of pregnancy complications. 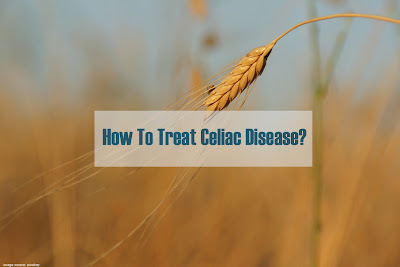 such as gestational diabetes and preeclampsia. A study shows that pregnant women with gestational diabetes who exercise three times a week can reduce the risk of the baby being born with an excess weight of 54% and reducing the risk of cesarean delivery by 34%. Exercising can also help maintain weight so that it improves your overall health. 3. Help reduce stress and arouse mood. A study found that exercise can increase serotonin levels, brain chemicals that are related to moods, making you happier and more excited. This is certainly very good for your womb. 4. Reduces discomfort during pregnancy. You may feel your body is less fit during pregnancy because of back pain, constipation, flatulence, and swelling (for example in the legs). By exercising, the body is more active in motion so that it supports the smooth circulation of blood in the body. Exercise can also strengthen muscles, which helps you prevent and treat pain during pregnancy. 5. Make you sleep better. Exercise during pregnancy can make your body quite tired. So, you will sleep better at night. 6. Helps the body prepare for birth. Exercise during pregnancy can help deliver labor more easily and shorten labor time. Also, reduce the risk of complications during childbirth. This is because the body is used to being trained and spending a lot of energy during sports or gymnastics. 7. Helps faster body recovery after childbirth. Exercising regularly during pregnancy can strengthen the muscles so the body can recover faster after giving birth because the muscles are usually trained. Do I have to take pregnancy exercise classes? Not really. The most important thing is that the mother moves or does light exercise as much as she can while pregnant. It does not matter if the mother does not take pregnancy exercise classes. But, pregnant women should keep exercising every day. The American College of Obstetricians and Gynecologists recommends that pregnant women exercise at least 20-30 minutes every day (if doctors do not recommend stopping exercise temporarily or limiting physical activity due to medical conditions). As suggested by the American Pregnancy Association, choose the right sport during pregnancy. There are many safe sports for pregnant women to do, but don't overdo it and must be careful. Examples of good exercise for pregnant women are prenatal yoga, where the risks that can be caused are very low. If you are used to exercising before getting pregnant, you might be able to continue it during your pregnancy. But, also adjust to your ability when pregnant. Do not exercise with high risks, such as the risk of falling, there is a jumping motion, carried out in hot weather, and so on. Also, read Can I eat ice cream during pregnancy?